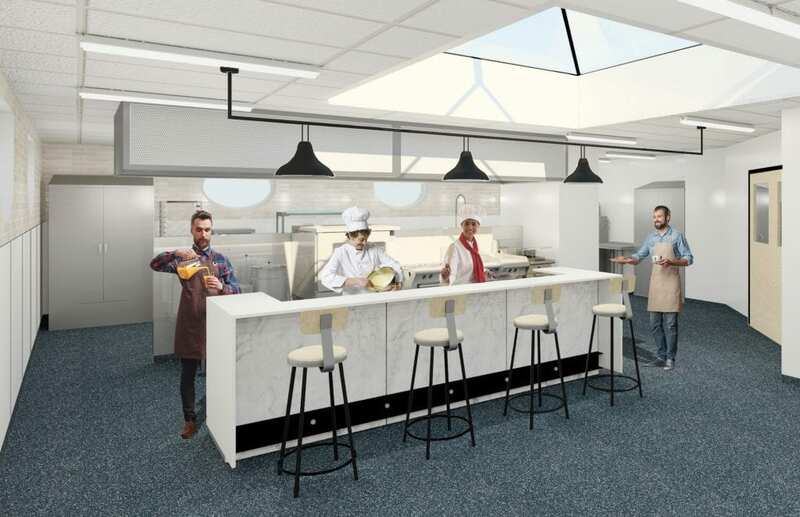 The eleventh floor of the Paterson GlobalFoods Institute will soon be transformed into a multi-functional culinary research centre, thanks to new federal funding from the Canada Foundation for Innovation (CFI). Science and Sport Minister Kirsty Duncan stopped by Jane’s restaurant this morning to formally announce the new project — one of several made possible through more than $10 million in funding for new research infrastructure at 11 colleges and polytechnics across Canada. Through the CFI’s investment of more than $1 million in RRC, students and staff working at the new research lab will be even better positioned to collaborate with the food and agriculture industry on projects that will enhance food safety research, and address changing consumer needs and challenges such as food waste. “Red River College is a leader in culinary research and innovation,” says RRC President Paul Vogt. “To date we’ve worked on more than 40 different projects with local food and agricultural producers in Manitoba to help them innovate and bring new products to market.